For 2019, Second Saturday Club is going back to a "block of the month" format. 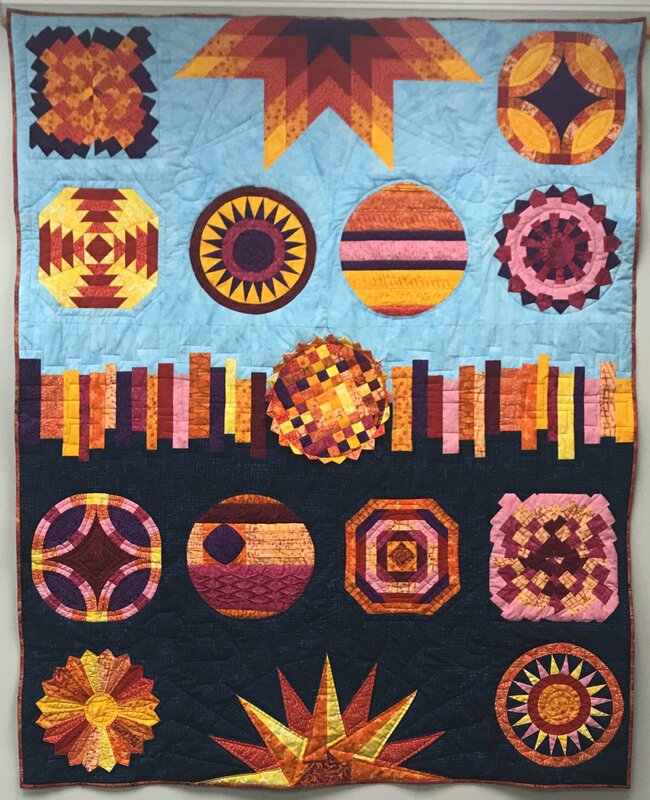 Members will be making Sunrise/Sunset, an original design by Betsy Kulamer. Many of the blocks are based on skills we learned in 2018, but prior membership in Second Saturday is NOT a prerequisite. Paid club members may ask to join our FaceBook group for additional discussion!